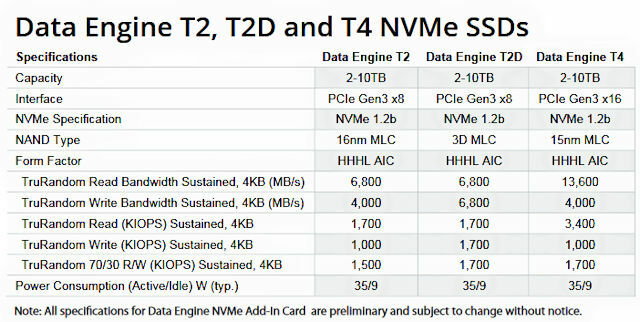 This week at SC16 in Salt Lake City, Smart IOPS demonstrated its FPGA-powered Data Engine NVMe SSD, which delivers 1.7M IOPS—which the company claims is 4x that of competing NVMe SSDs. 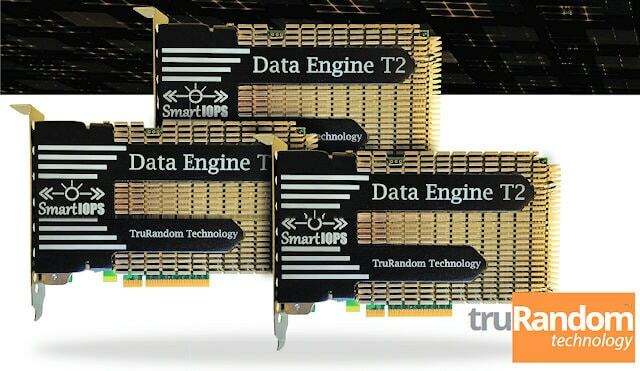 The secret, besides the embedded Xilinx Kintex UltraScale FPGA running the show in hardware, is Smart IOPS’ TruRandom technology, which uses pattern-recognition heuristics baked into the FPGA logic to speed read/write transactions between the host CPU and the Data Engine’s NAND Flash storage. This technology makes sustained random and sequential read/write transactions indistinguishable, meaning they run… FAST.